如果您使用的機型跟Leo一樣是 HTC HD2 的話，安裝完畢之後請安裝 VolumeFix.cab才能修正喇叭圖案無法正常顯示的問題喔!!!! Thanks for the share.. I really download a lot useful things from here, keep up the good work…!!! Volume Fix really fixes my problem! 先感謝leo大的分享! 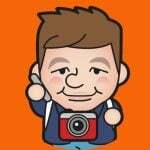 再來就是災情回報= =” 1.裝完之後，賽微語音命令無法使用快捷鍵!即設定鍵失效。2.無法使用USB充電! 不過再移除之後，就又都正常了!! 可能是我安裝上有問題，我會再試試! Thanks for sharing!!! man…this is awesomee! <3 android! and i <3 ur site too…keep it up!! ok…i just found one problem….i cant use ActiveSync!!!!! HELPP!!!! …. well nvm…after install it again….everything works fine now… ty!